On that very day of Feb, 28th 2013, when they put on the posting, i saw that NYSC posted me to YOBE State, i was shocked and i became confused, i was wondering how on earth could this happen!, i cant imagine myself going to YOBE considering the situation in that, but as i checked the NYSC website, i found out that those posted to Borno and Yobe will camp in Benue and Nasarawa respectively from 4th April – 25th April, i was relieved and happy to some extent. i went home and i relaxed for the whole of March, some of my classmates went to camp in March, so when they came out from camp, they share some of their experiences with me. On 3rd April, I arrived at camp, immediately i step in my foot from the gate, some photographers and camera men will besiege you, telling you to register with their own video coverage, i did that, I was the 10th person to report to camp, i got Block A, the following day when camp opens, i did my registration and finished it very early, camp is fun and that’s where I met people of different backgrounds, different religions, cultures and different statuses. For me, camp was all about discipline. 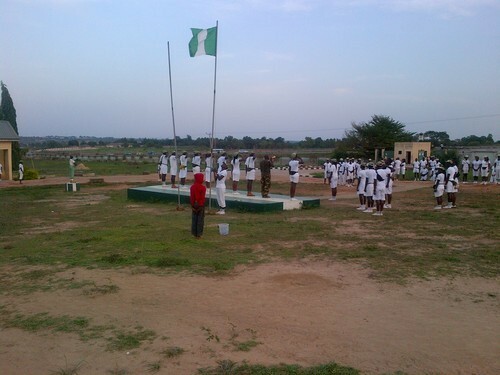 For example, you had to wake up at 4am, fetch your water, take a bath and go straight to the parade ground. At the parade ground the army guys will be waiting for us and if you came late, just know, “Wahala dey oh.” Whenever the beagle rang, you have to leave what you were doing and go straight to the next activity otherwise you were in trouble. You will most likely do frog jump, squat down in the sun or kneel down on the boiling hot floor and that’s all part of the discipline. They gave us a few hours free during the day to go do what you want, but they always reminded us that “For Yobe, Corper no dey rest. In the beginning, you will begin to hate camp because of the stress associated with it, but at time goes on, you will also it, just try to be jovial always, everything in the camp is competition, that is why corpers are grouped in 10 platoons where by you will be competing in events dance, comedy, drama, volleyball, cooking, football etc, As I mentioned earlier I like the fact that people had the opportunity to display their talents at camp. We had some very talented people in my camp from comedians to dancers to musicians. It was an opportunity to show case your talent to over 1500 people which is a larger audience than many places an upcoming artist finds oneself performing. i participated alots, snap alots of pictures with my BB and Iphone, also with the photographers.Also, because we were put in different platoons, we had to compete against others so everyone gave their best. I joined the ICT skills acquisition group in camp where we were trained on computer repairs and services, troubleshooting, installations and formatting, at the end of the training, i was issued certificate of attendance. Towards the end of camp, as much as it was fun, I just couldn’t wait to leave camp because I was exhausted. Sleeping for 3-4 hours a night for three weeks was no joke at all. That last day was the one that I was worried about most because that was the day they gave us our relocation letter. I won’t lie I was scared but i was relocated to Zamfara State instead of Katsina. Anything that has a beginning, must have an end, So on that last day, many people are anxiously waiting to collect their relocation letter, some cannot even wait for morning, but they will start packing their luggage in the middle of the night, they will submit their mattress and collect clearance, next is to wait for POP parade and from then camp is over, over 1400 corpers relocate to other states from camp, while a few went to Yobe, some will collect their relocation letters and be happy, while some will be sad. 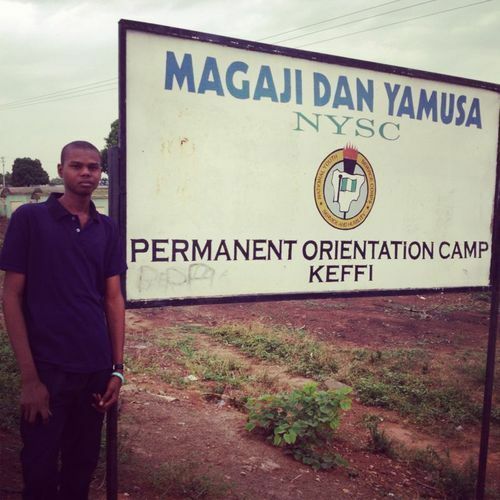 Lastly, I have to say that while many people say NYSC is a waste of time and a big joke, it is NOT. Just like everything in this life, it’s all about what you make out of it. I went to camp and I made the most out of it. NYSC brings different cultures, religions and ethnicities together to make a difference in the communities around us. I have seen how much the government has put into the scheme and I have to say its really making a difference in the community. Individually we might not like it, but collectively look how much of a difference we are making both within our own networks and experiences and within our nation. We are able to encourage primary and secondary school children and pass on the knowledge we have learned in our own higher education. It gives the children an opportunity to come into contact with graduates from many walks of life who have one thing in common – a commitment to serve their nation. Just remember, life is what you make out of it and I am making the best of my NYSC experience, so if you have not already had the opportunity to do so, when yours arises, please do the same. Remember is it just once in a life time. 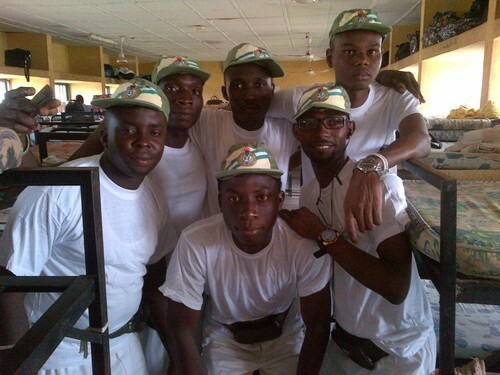 I’m proud i’ m serving my country, i’ m a Corper YB/13A/0032 logged out.